We are delighted to welcome Hennie Haworth to the agency. 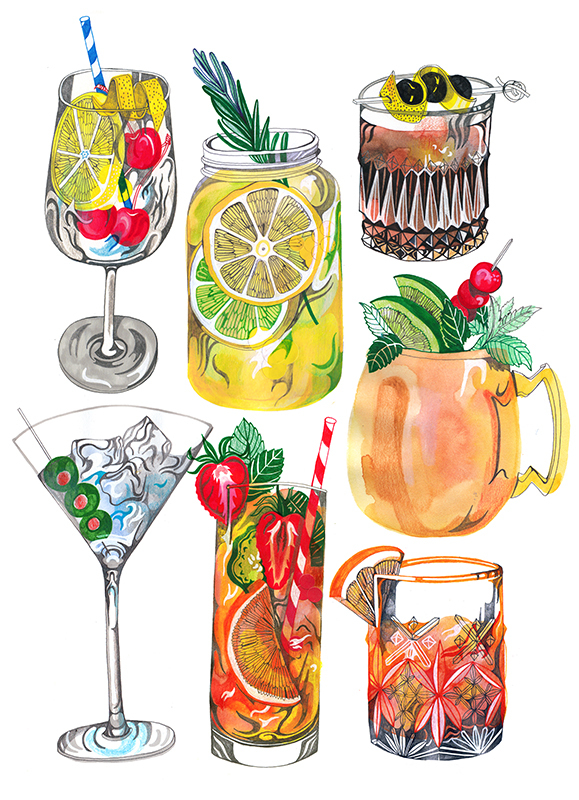 Since graduating from Brighton University, Hennie has achieved great success as a commercial illustrator. As well as being commissioned for a wide range of advertising and design projects, Hennie's vibrant artworks regularly grace the pages of national newspapers. 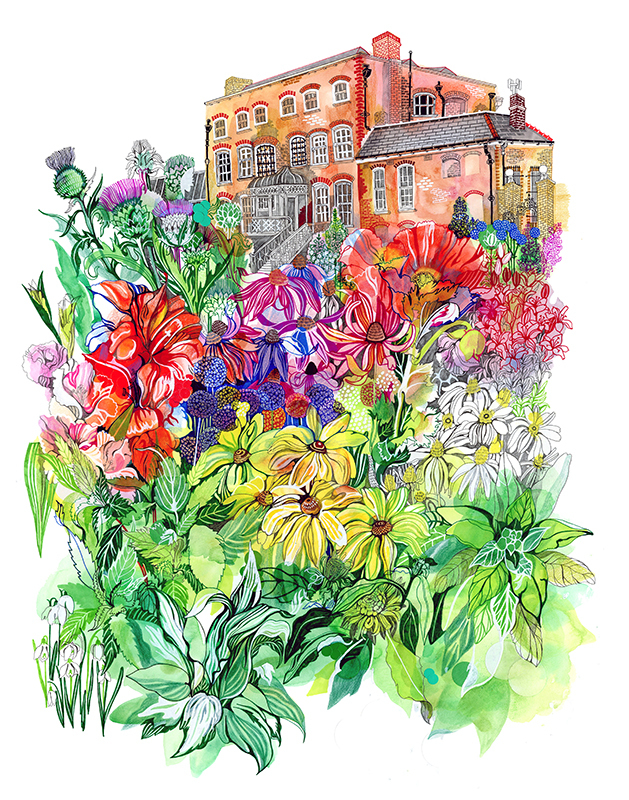 With a love of colour, Hennie's passion lies in seeking out the hidden beauty in her everyday surroundings, a talent which clients around the world have put to great use. She spots the unusual in the world around her and captures it in her playful style, bringing countless advertising campaigns, magazines and book covers to life. We spoke to Hennie about her love of pattern, architecture and her favourite projects. How do you create your artworks? I enjoy using a mixture of materials, my personal favourites are chalk, pencils, tipex, crayons, water colour and felt-tip pens. Colour, patterns and details are the things that inspire me. I focus on these when I'm starting a project, and the rest of the drawing sort of forms around them. I love to draw lots of decorative elements mixed in with more structured objects. I tend to use watercolour first to build up blocks of colour, then once it's dry I draw on top of it. I use Photoshop to put the elements of a drawing together, as well as clean them up a bit! Your portfolio covers a wide range of subject matter, what do you get the most pleasure from drawing and why? I really love drawing buildings and the repeat patterns the windows make and all the very decorative twirly architectural elements. I also love rooftops, I think chimney pots can be so much fun and so can the patterns that roof tiles make. I also really enjoy drawing lamp posts and drains on the roads. I can get a bit lost in all the detail and I have to get my head around how all the intricacies join up to make one big image. It's tricky to know where to start sometimes, so I try to split the buildings into sections and draw lines on the paper to divide it up, I then fill in the building section by section. It's a bit easier to visualise that way. 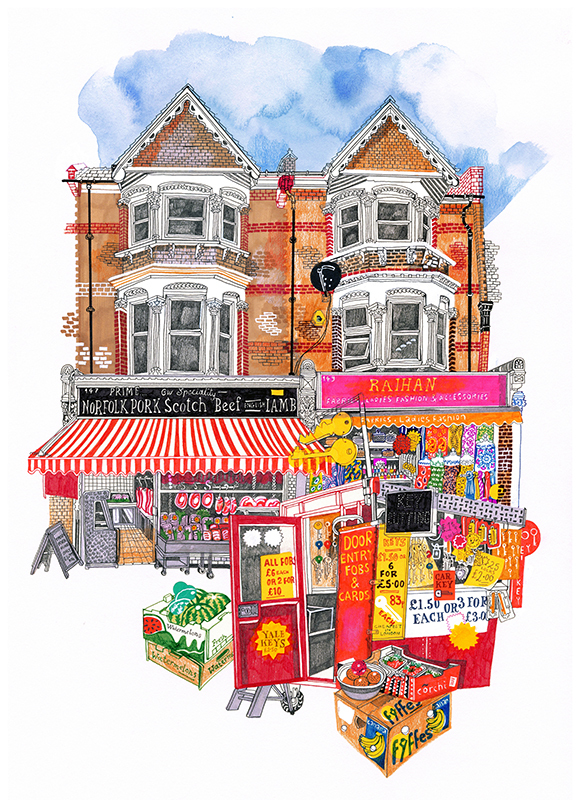 Your show titled E17 was a collection of drawings of Walthamstow, where you work and live. You've captured the energy of the area beautifully. What motivated you to draw E17? I was keen to do a series of drawings of Walthamstow buildings, as they have a lot of character and aren't perfect, they somehow seem friendly with a lot of texture and colour to them. I settled on the market as a starting point as there was just so much down there to draw; plenty of colour and loads of typography. There are lovely fabrics with sequins and bold chunky prints, old twirly signs and colourful veg boxes. The patterns the fruit makes all lined up are beautiful and there is so much interesting architecture above the shops! However, I think my favourite place in E17 are the Walthamstow Marshes, which is something I am yet to draw. Is there a commercial project you have worked on, that stands out to you? 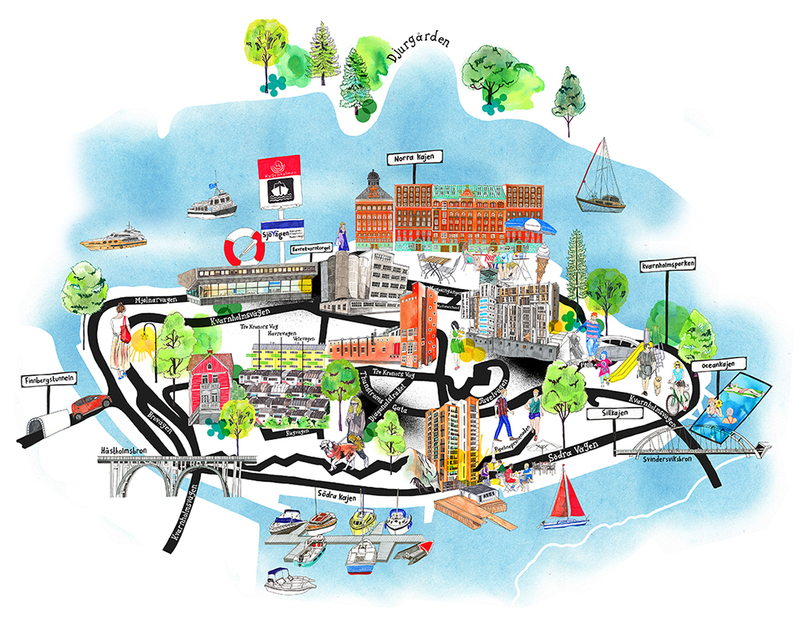 I really enjoyed working on a project for a new housing development on an island in Stockholm, Sweden. The island is called Kvarnholmen, opposite the island of Djurgården. The development was residential as well as commercial and had some fantastic scenery of both contemporary buildings and a historic setting. I got to draw lots of different elements on a huge scale and it was fun to imagine being in one of the scenes walking about. Are there any particular projects you would like to work on in the future? I love illustrating books. 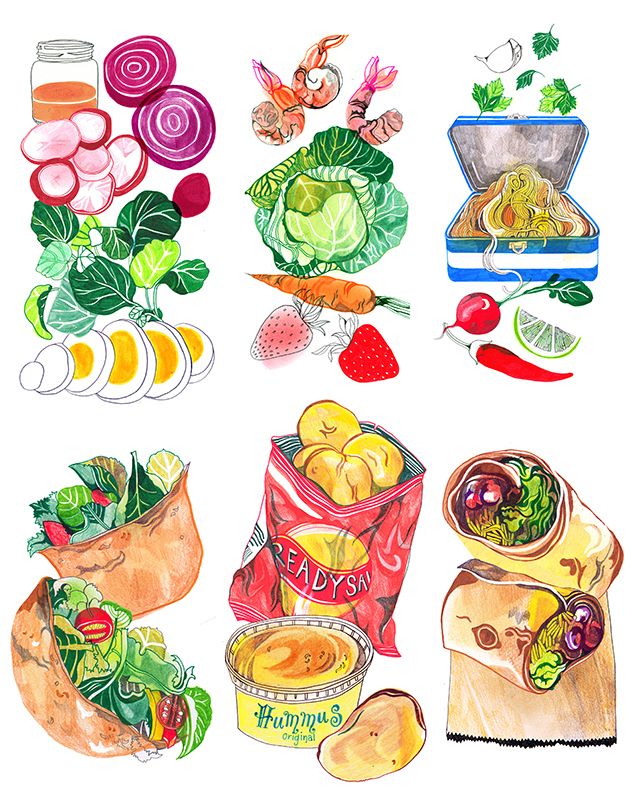 Perhaps a recipe book would be a lovely project to do as I also really enjoy drawing food. You can be more free and creative with food as you don't have to be perfect with the proportions and as my work is quite detailed with lots of colour, it's great for making food look inviting. I'm intrigued by your illustrations of vending machines, what inspired these? 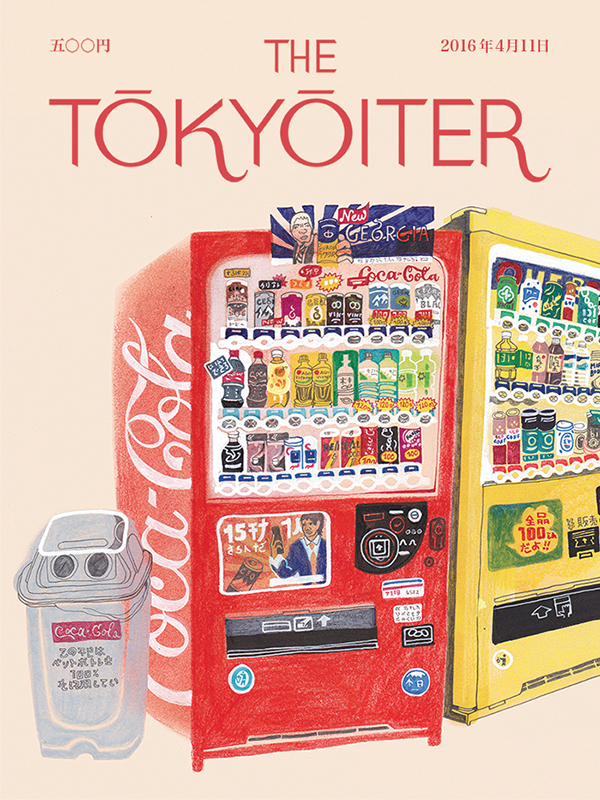 I spent some time living in Kyoto, there are vending machines everywhere you go. They are always offering cold or hot drinks and they always work, I never came across one which was out of stock or broken. From supermarkets, to temples, to shrines and fields of rice; they are everywhere. The machines are colourful with loads of patterns, images and lovely packaing and they are surrounded by amazing landscapes, so they were perfect for me to draw! I loved the mix of the patterns, structures and colours between the modern shiny vending machines and the old traditional wonky streets of Kyoto. My artworks were picked up by 'The Tokyoiter' a project, which celebrates the work of Japan-based illustrators, it was great to share my vision of Japan with local creative community. I'm working on a fabulous project illustrating fruit and vegetables for the launch of an exciting new food brand which is going live shortly. I've loved working on the project. I have also just finished a book jacket for the publishers Little Brown, creating a cover for one of their best selling authors and I hope to do more book covers in the future. We're looking forward to working with Hennie and can't wait to see what her next project will be. To see Hennie's full portfolio, please click here. Hennie Haworth is represented by Meiklejohn. Published on 26 October 2016.